Ohio H.B. 70 will go in effect next month. It gives the state control of the failing school district. In one month, Ohio House Bill 70 will take effect and the state will take control of Youngstown City Schools. Democrats on the state Board of Education see the move as another in a series by the Kasich administration to promote charter schools. StateImpact Ohio’s Mark Urycki reports. Legislators passed the bill in near secrecy in June with no public debate. It will establish a five member Academic Distress Commission with a three-member majority chosen by the state school superintendent. That group then appoints a CEO with extraordinary powers. He could not only change the collective bargaining agreement with teachers but also create or contract with charter schools. State school board member Patricia Bruns – a Democrat — says bypassing local elected officials including the school board is unconstitutional. At this week’s board meeting, member Mary Rose Oakar said she has received piles of letters from people around the state afraid of a similar takeover of their local schools in favor of charter schools. She asked Department of Education official Lonny Rivera how it was legal to eliminate a locally elected school board. Rivera, a former school superintendent at Oregon City Schools near Youngstown, said his department is just trying to improve failing districts in what he called a "noble" effort. Youngstown teachers and Democratic legislators have sued to stop H.B. 70 from taking effect. 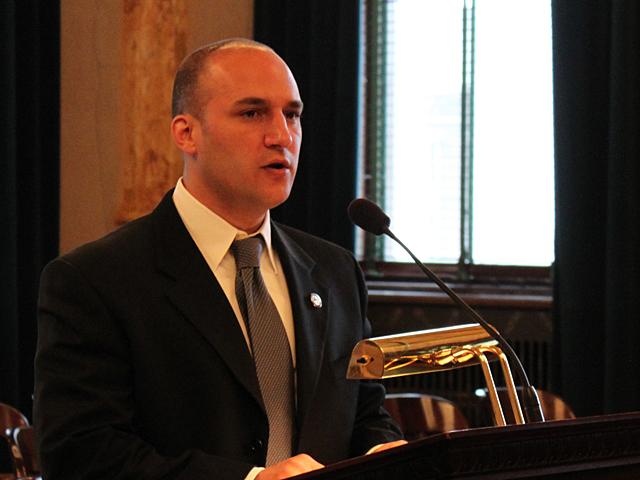 Sen.Joe Schiavoni and Rep. Michelle Lapore-Hagan say they’ll introduce their own Youngstown bailout plan next week.